This is a very old Heuer chronograph. It was not difficult to find out how old it was. It has a engraving on the back with the year 1940. 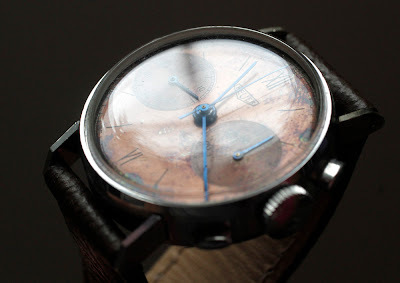 The copper colored dial has a lot of patina and adds a lot of charater to this old clunker. The pin like blued hands match the art deco style dial perfect. The ultra thin hands give the watch a special look. I has a sort of 1930s art deco feeling. Very cool. Inside ticks a unsigned Landeron 13. This is the correct movement for a Heuer from this age. This is normal for Heuer chronographs made earlier than 1945. 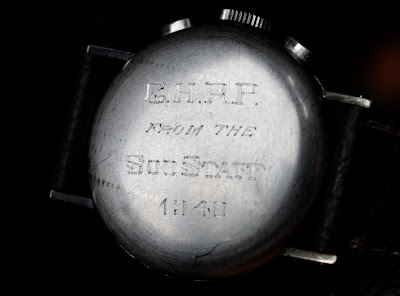 Heuer did not sign most of their movement and case back prior to 1945. 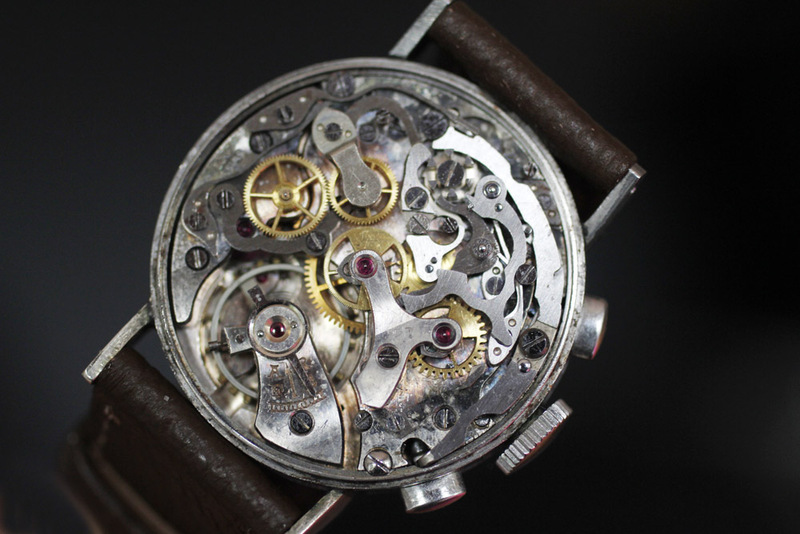 This watch seems to be all original and untouched for many years. The snap on case back has a mystery engraving "G.H.R.P. 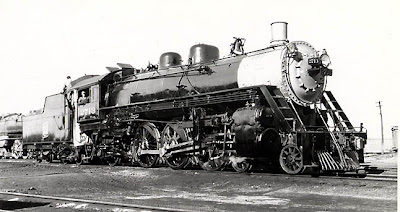 from the SOO STAFF 1940". If anyone knows the meaning please make contact. 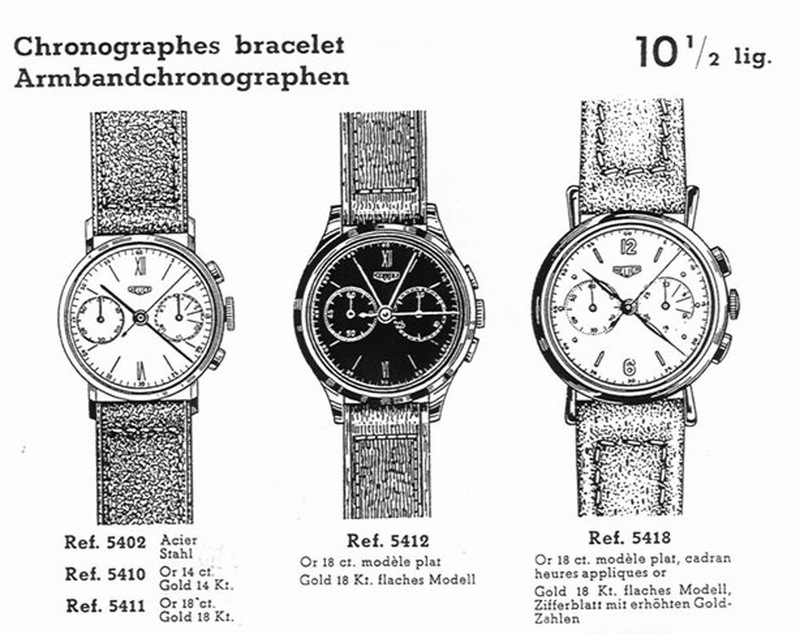 Shown at left in a Heuer 1945 catalogue. The mystery is solved. This is a railroad watch from Soo Line Railroads in the US. 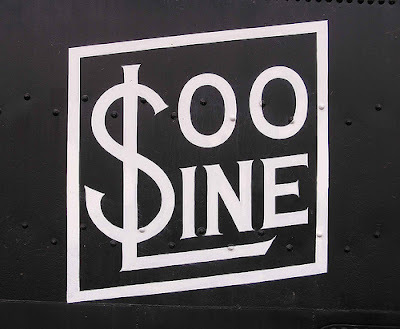 The Soo Line Railroad (reporting mark) is the primary United States railroad subsidary of the Canadian Pacific Railway (CP), controlled through the Soo Line Cooporation, and one of seven U.S Class 1 railroads. What is the value in euros of such a piece? I have seen a beautiful piece at a collector's in super good shape and working just great. Very much like the piece above but the dial was more elaborate. 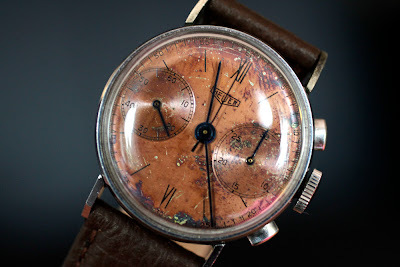 Did not see the movement though but he claimed it to be a Valjoux 72. Price 1400eur. Any comments? Hello. I f it is a Valjoux 72 inside a price of 1400 euro is not that bad. If you have a picture of the watch, please send it to me.